crafty goodies: More Jillibean Soup!!!! This is one of my favorite pictures!!!! The body language of a four year, having to share his prized 4 x 4 truck with other children!!! So sweet!!! Clinched fist and all.!! 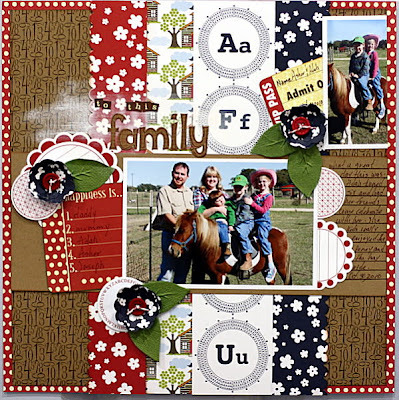 I used Jillibean Soup, Bazzill, American Crafts and Cosmo Cricket!! I love these pony pictures. I have one of each "grand" on the pony!! I used Jillibean Soup and Cosmo Cricket! I shaded the title area with some of Claudine Hellmuth's fabulous acrylic paint!! And last this sweet little pocket card made from a coupon die cut by Jillibean Soup. This pocket is very easy to make~cut your shaped cardstock paper in half and fold it in to thirds. Adhere at the bottom and you have a pocket ready to hold a coupon!!! I had a great day yesterday~ I made the team at Epiphany Crafts!!! You can check it out here!!!! Have a wonderful day and see ya soon!!!! how adorable are all your projects. love the colors and design. and the pocket card yum! 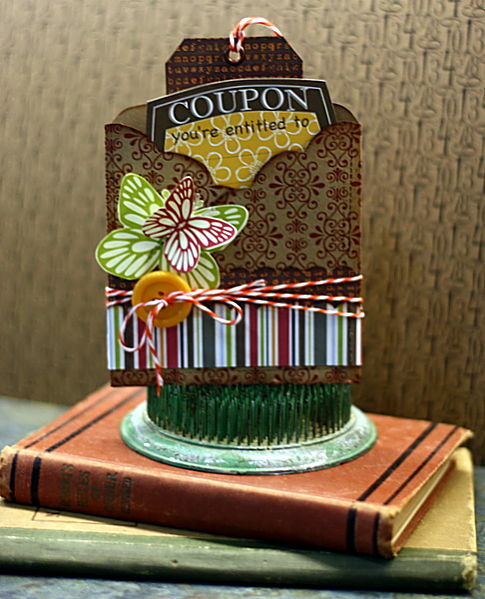 I always love seeing projects using Jillibean Soup products, that little pocket card is soooo cute! Love your coupon envelope very cool!! Huge CONGRATS to you Connie on being selected to join the Epiphany Crafts DT. You are going to rock the EP products!!! So happy for you! Super cute work Connie! You rocked the soup! The card is adorable! Love the layouts-I also love Jillibean Soup and these are perfect! You can never get enough JBS. Love what you have done here. CONGRATS on joining the EC team. You are going to love their tools. What do you call that pin type stand you used to display your cards. I'd love to find one but have no idea what it's called to even ask people. 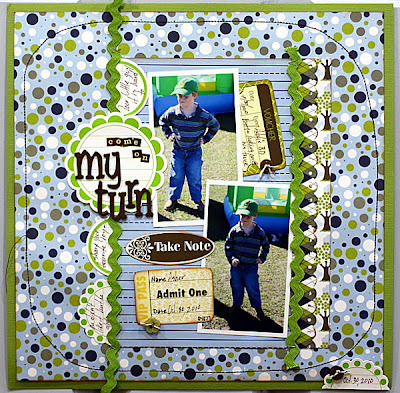 I love the details of your layouts and you can tell your love of the papers!